The In Phase range of Headunits offer a full range of features at a very competitive price. The units have been engineered to offer a great sound straight from the box but also allow you to fine tune the unit to your choice. They also have plenty of options to expand with multiple line outs. 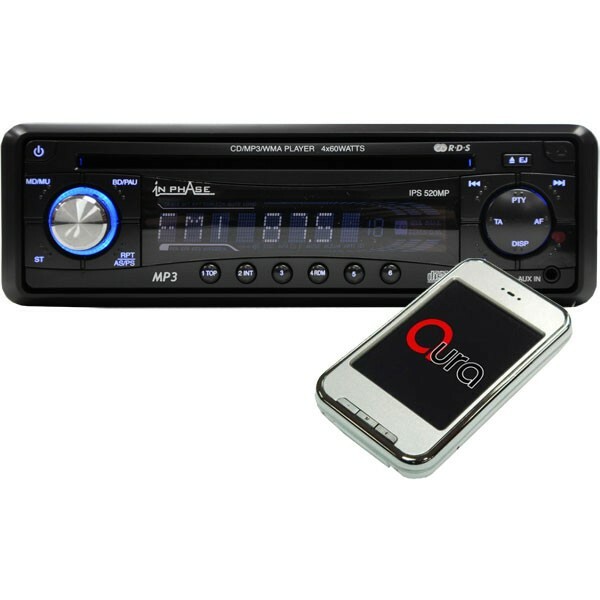 The In Phase IPS520MP is fully featured in that not only is it a CD MP3 player with full RDS radio for FM and AM, but it also has front and rear auxillary inputs, meaning you can add a MP3 player as an extra music source. With its stylish blue illumination on a black fascia this will looks the part in any car. The fascia is also removable for added security. Lesser quantities can be stored, if you do a mix of all the above depending on what you wish to store on your MP4 player.